At Capital Coating, Inc., we have more than 2 decades’ worth of experience and success in diagnosing, detecting, and repairing commercial roof leaks. Big or small, simple or complex, the trained, certified experts at Capital Coating, Inc. have the necessary skills and tools to handle your leaky roof efficiently and effectively. We deal in everything from leak prevention – roof inspections and ongoing maintenance plans – to leak repair (and all the accompanying issues, including insulation replacement, cosmetic interior repair for damaged walls and ceilings, and insurance claims). Give us a call today at (717) 442-0979 to learn more about our services and get your leaky roof back to performing at 100%. 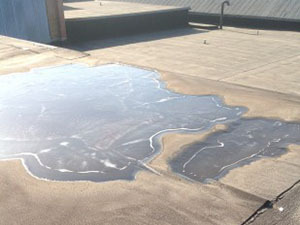 There are many things that we commonly see when it comes to roof leaks, however some occur more or less often depending on the season. Ice dams – These are big chunks, or dams, of ice that create a border along the edge of your roof. Heat rising through the roof can melt snow, which can pool up behind the ice dam, increasing the chances of water penetrating yoru roofing material. 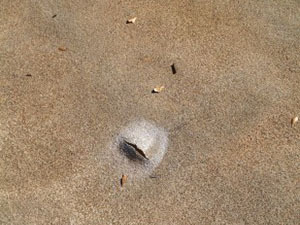 Improper installation or cracks/deterioration/punctures – If your roof has open points of access via holes, tears, etc. it is at risk for leaks as soon as temperatures warm up enough to melt any ice or snow that may be sitting on your roof. Poor ventilation – If you have a leak but can’t find any points of access, it may be due to water vapor inside your home. As warm air cools, it creates condensation, which, over the course of months, can accumulate and cause leaks and all the related problems that come with it – mold, rot, wet insulation, and more. If you’ve found a leak or think you may have one, call Capital Coating, Inc. right away at (717) 442-0979. One of our friendly, certified technicians will visit your building for an on-site inspection and cost estimate. As a full-service commercial roofing contractor, Capital Coating, Inc. is qualified to handle any leak detection and repair job you may have. Call us today and let us earn your business. We look forward to adding you to our ever-growing list of satisfied customers.